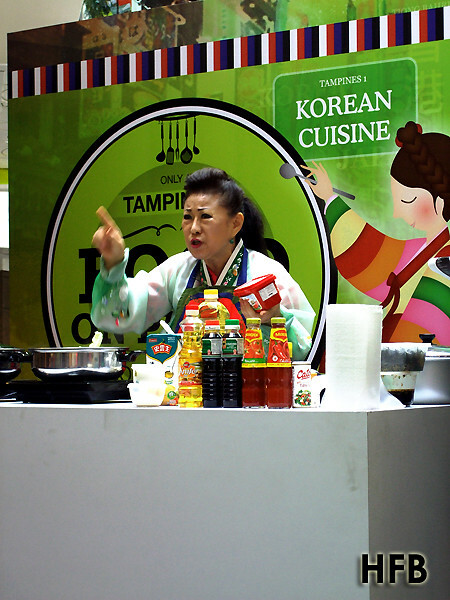 Something Korean was brewing at Tampines 1 on Friday – Korean Rice Cake that was, by MediaCorp artiste and Celebrity Chef Mdm Jin Yi Ji for Asia Malls, “Food on Parade” Korean Masterclass, and the stage was swarmed with crowd who came out in full support. 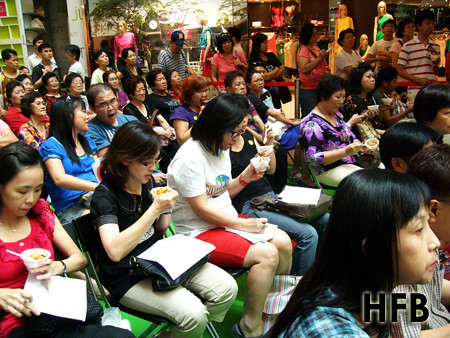 It was so overwhelming that the management even had to bring out more chairs for the audiences. 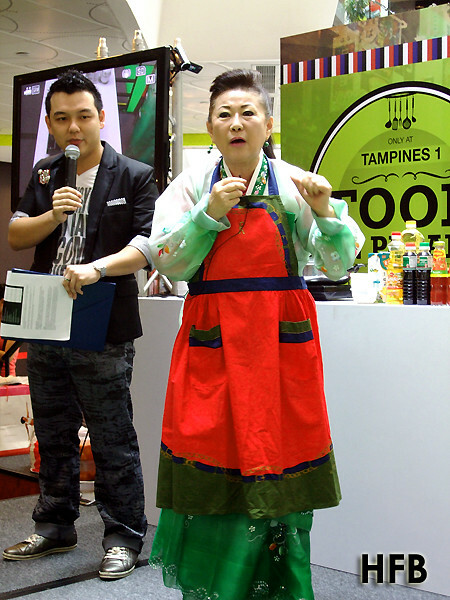 The crowd was truly won over by her sincerity and earnestness to share her philosophy on food, “I am not stingy when it comes to cooking, only when I see the person eats my food happily, will I then be happy”. In fact, it was said she woke up at 5am that morning to prepare the food in advance just so to ensure everyone who were present that day get to enjoy her food. 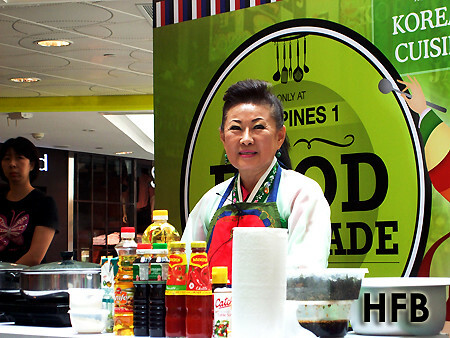 Even at the Masterclass demostration, Mdm Jin took it upon herself to ensure everyone get a fair share of the rice cake by filling the pot to the brim, choke full of ingredients. 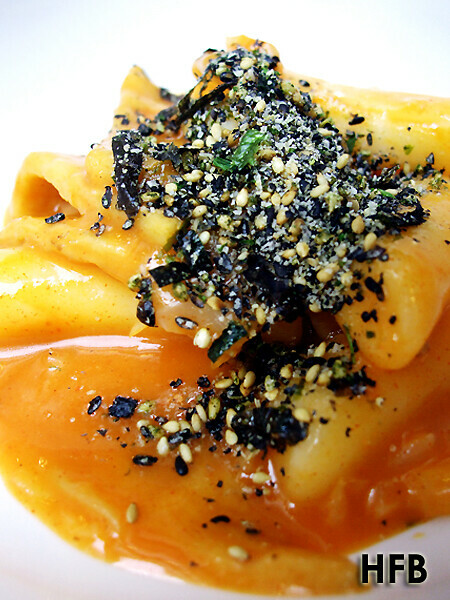 The recipe is fairly easy, almost akin to eating steamboat – stirring in all the ingredients to the stock and with a quick sprinkle of sesame seeds and seaweed, TADAH – the rice cake is done!! Doesn’t it look wonderful?! 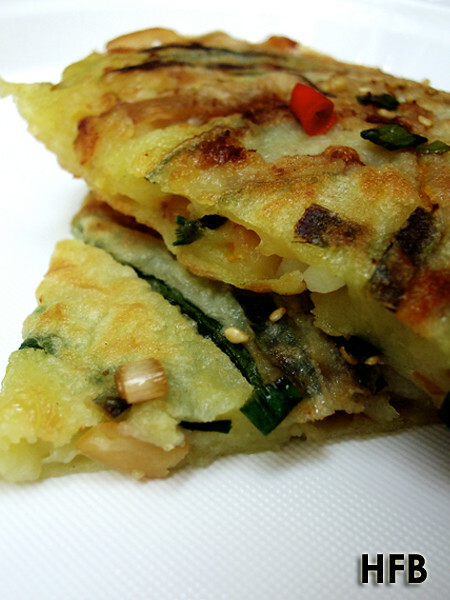 The Korean Pan-fried Pancake was just as easy to master – mixed flour with potato (blend it into a puree) to get the thin pancake batter, add the various ingredients like seafood and vegetables (meat if one desired) and pan fry to golden brown. 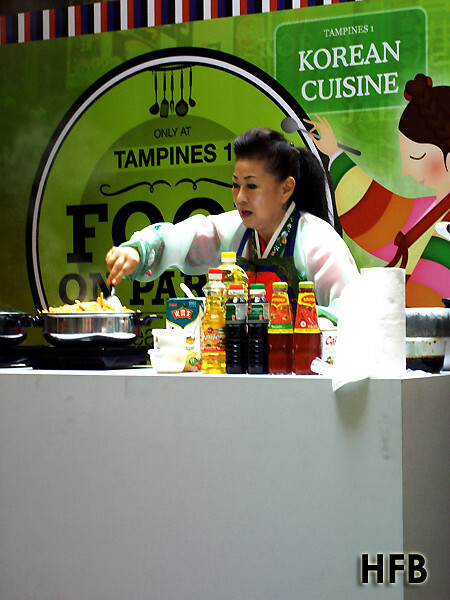 But the crowd were the obvious winner, as they get to sample the food and brought home with them the recipes. 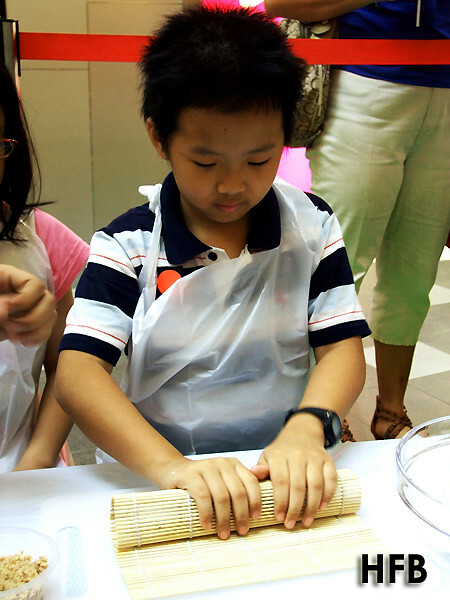 Following later in the afternoon, the kids were out to play in the Little Chefs Workshop conducted by Chef Nicky Kim who taught them how to roll Kimbap, or literally Rice and Seaweed, or Sushi, Korean style. 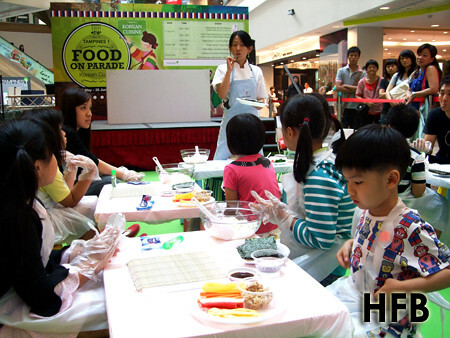 HFB noticed the difference about the rice, which comes without vinegar but having sesame oil and sesame seeds instead. 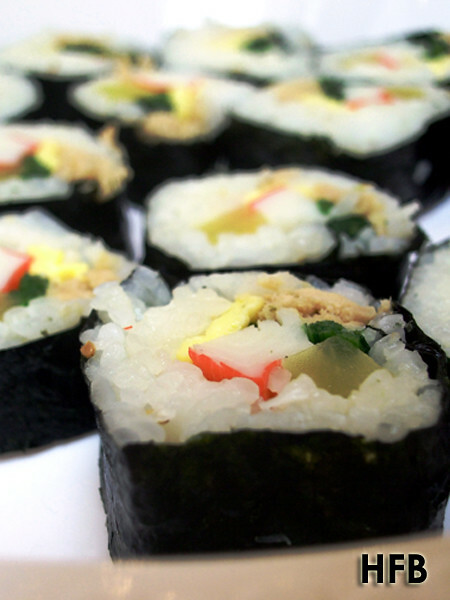 The ingredients were the usual suspects – carrot, yellow radish, egg, cucumber, tuna and crab stick. 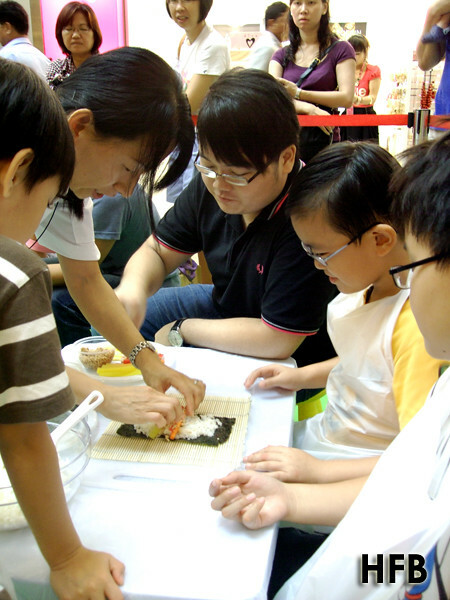 After a quick round of sanitising, some form of ‘bribery’ was dished out to the kids – sushi that was pre-made by Chef Nicky herself, to introduce the kids the dish they were attempting. 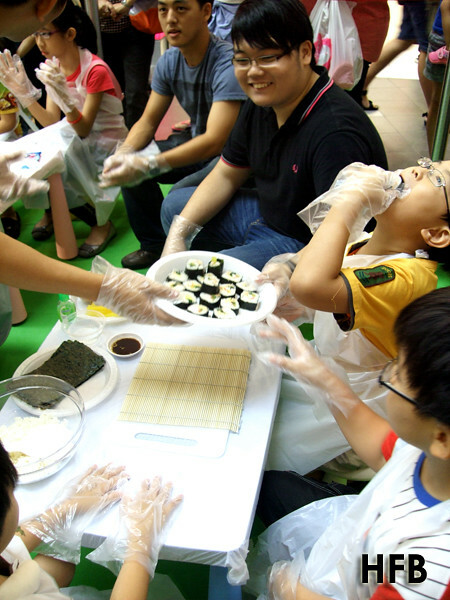 The rolling of kimbap then commenced and HFB had to say, he was impressed with how fast the kids mastered the art of obtaining a nice, firm sushi that looked really yummy! 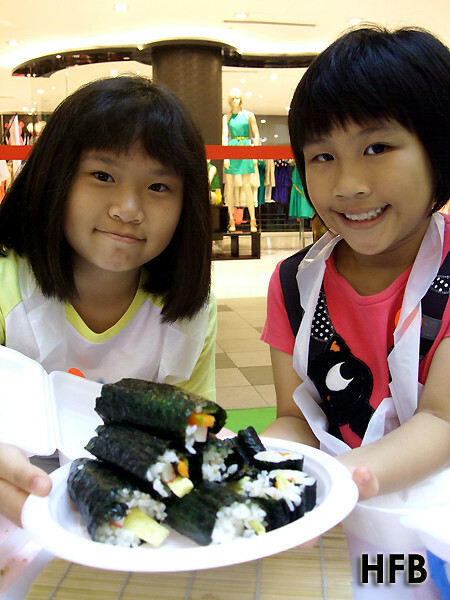 Before long, each kid went back with 3 portions of the sushi and they looked really happy with their creation.